Am I Entitled to a Lawyer Before I Take a Breathalyzer? Many people will ask me whether or not after being arrested for a DUI, they will be given an opportunity to speak to a lawyer before deciding whether or not to take the breath test. The answer is that you should be. Not all police officers know that, and not all police officers are willing to give you time to speak to a lawyer. But the truth is that you have the right to speak to a lawyer before making such an important decision as whether or not to take the breath test. 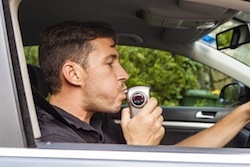 If you refuse to take the breath test, which is an option, you face a mandatory one year revocation of your driver’s license under the laws of the state of New York. On the other hand, if you take the breath test and you fail the breath test, that is evidence that may be very critical evidence in a prosecution against you for a DUI. This is a critical decision, whether or not to take the test, and the same decision shouldn’t be made for each individual. It’s something that has to be made on an individualized basis based on the facts and circumstances of your situation and the circumstances under which you were arrested and charged. You should be given an opportunity and you should ask for an opportunity to speak to a lawyer for the purpose of making such an important decision.